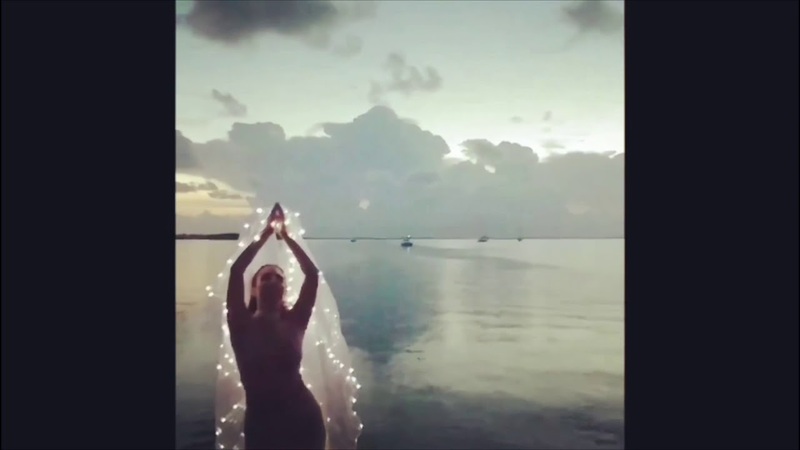 Hire Unique and Elegant Wedding Fire Entertainment in The Florida Keys! 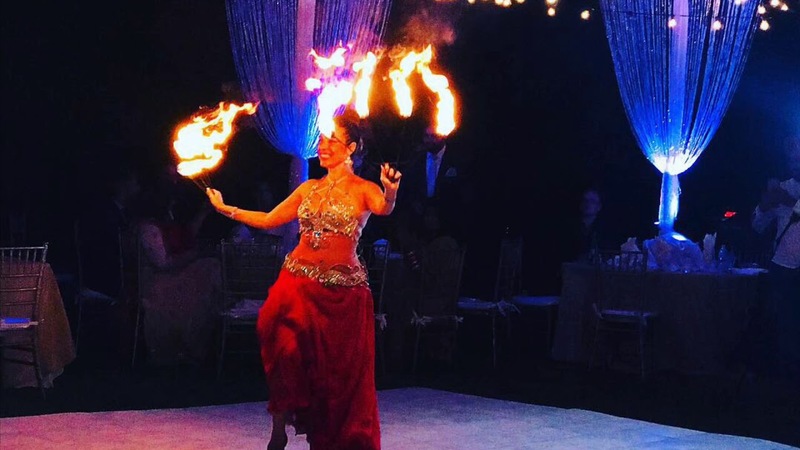 Fire Eating Bellydance Show, Fire Dancing to Brazilian Zouk Music, Snake, and Polynesian Fusian Fire Dance Shows are available to vibe with your event theme. The costumes are mesmerizing and the music is tantalizing. Will travel from Key Largo, Islamorada, Key West, and Miami. 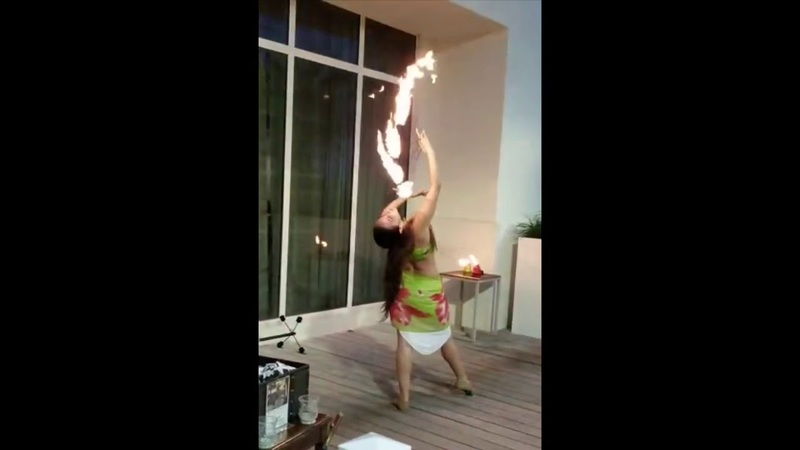 This traveling fire dancer will come to your location at an additional cost for traveling expenses. Florida Keys Belly Dancer, Daisy owns Islamorada Barefoot Dance Studio which is part of the Award Winning Florida Keys Vendors and is insured. Hire a touch of elegance with her graceful moves and gorgeous costumes. Meet you by the water! Daisy sure knows how to work a crowd, and the fire-eating was a huge hit! There were some last-minute schedule changes and Daisy was very accommodating and understanding. I only wish the set was longer! We loved Daisy for her grace and beauty! She did an amazing sword dance and joyously entertained the Birthday Boy and crowd! Daisy did an amazing job performing for our group. She was very accommodating as my group was 1 hour late and she was still able to perform for us. She did such a great job that we will be hiring her for our return next year. Thank you again!!! If you have any pictures please send to me. Florida Keys Belly Dancer was wonderful! The entire group had a great time watching and participating in her performance! We lived it!! - Additional props are available at an additional cost: Fire Fans, Fire Sword, and Fire Staff. Thank you for considering Islamorada Barefoot Dance for your special event!